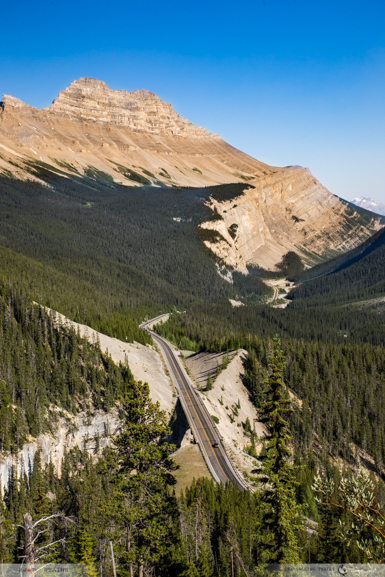 Icefields Parkway is on just about every list of scenic drives in the world. And why not? There might be no better way to experience the grandeur of the Rockies than by taking a trip on the Icefields Parkway. This 142 miles long road joining Banff and Jasper national parks is one of the most spectacular scenic roadways where you will be awed by emerald colored lakes , snow capped mountains, glacial ice and abundance of wildlife. There is something for everyone to enjoy on Icefields Parkway . 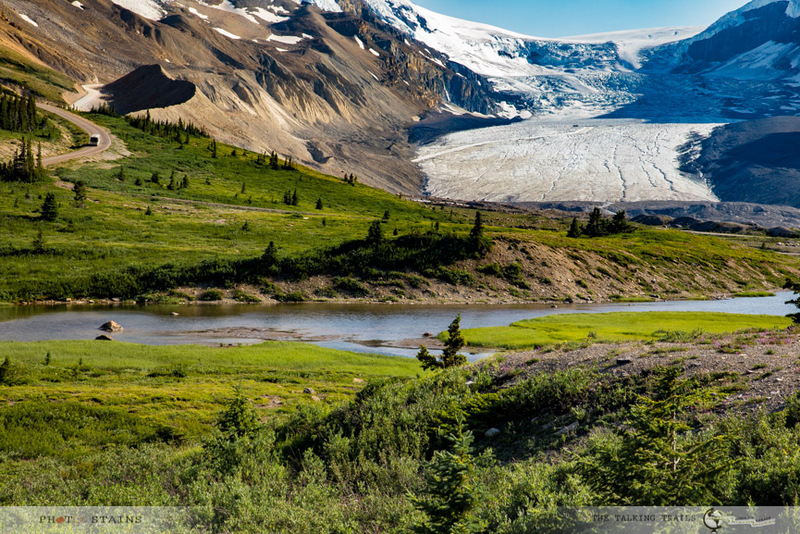 With countless viewpoints, interpretive trails and breathtaking scenery , no matter how you choose to travel or in which direction you choose to travel Icefields Parkway , you are sure to be blown away by this UNESCO World Heritage Site . 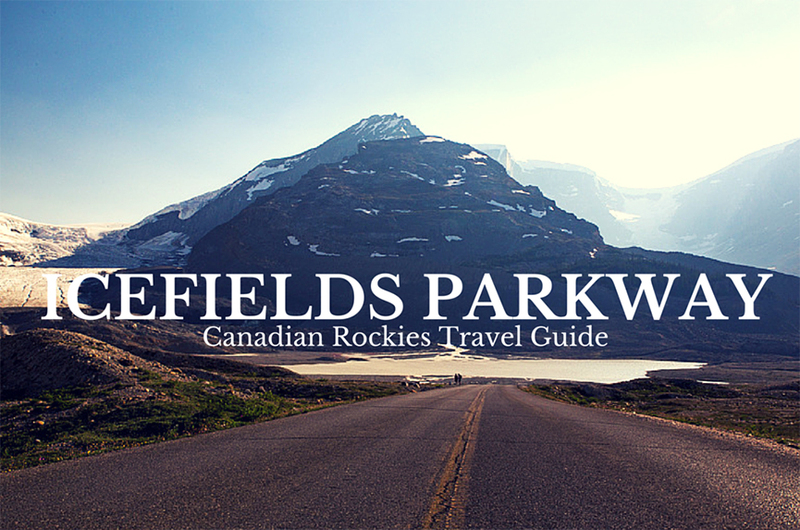 To assist you in planning your trip of your lifetime , I have put together ” ICEFIELDS PARKWAY – Canadian Rockies Travel Guide” . If you are driving from Edmonton to Alberta or vice-versa take route 93 and I promise you will be stopping every mile to enjoy this beautiful highway. That being said assign more time for your journey through Icefield Parkway. Most of the people do this drive in a day but if you intend to do a bit of hiking , it is certainly more than a day. 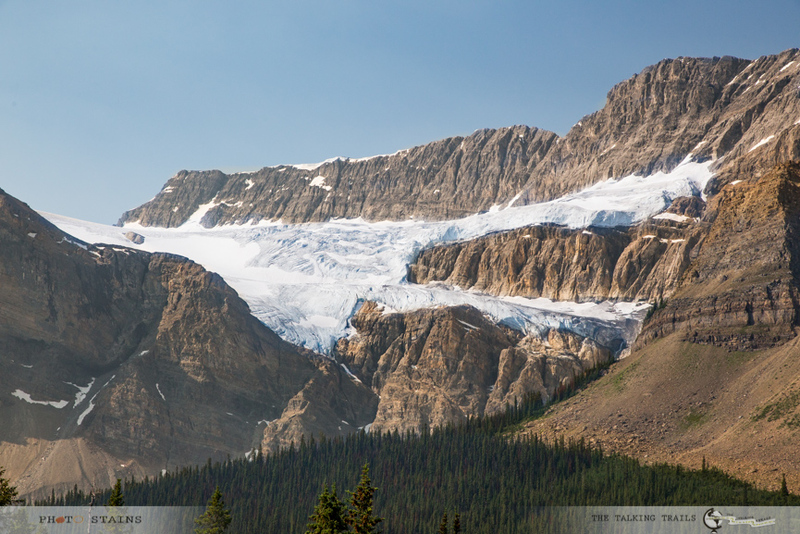 1) Icefields Parkway is a minimum of 3 hours driving time without taking any stops. Expect it to take longer in summer when RV’s, tour buses and plenty of other vehicles are on the road. 2) Fuel up your car in Banff or Jasper area before you start driving on Icefields Parkway. There is only one fuel station on the parkway at the Saskatchewan Crossing and due to the isolated location, its very expensive. 3) You need to have a National Park Pass in order to drive through IceFields Parkway. You can get one from any visitor center in Banff or Jasper. If you are caught without a pass , the fines are substantial. 4) I will advise to use offline maps with all your points of interest already marked to help you in navigation in Icefields Parkway. The cellphone reception is quite patchy in this area. 5) There are only a few food services or restaurants ( I think just 3 including one at visitor’s center) on the parkway and they all serve mediocre overpriced food . If you are a coffee addict like me , bring it with you in a thermos or something because you will not get any coffee shops along your way. To save money and avoid long line ups ,I will advise to bring your own picnic lunch or snacks or dinner meal. 6) Accommodation on Icefields parkway is very limited and hence expensive as well. 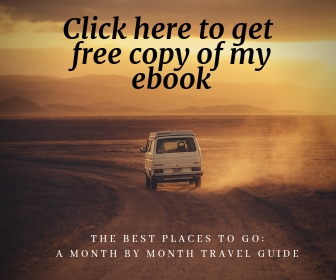 You can save money by camping in the campgrounds but in peak season , these campsites get filled pretty fast. Also none of these campsites have power or sewer services for RVs , so if you plan to travel by RV plan to be self-sufficient during your stay. 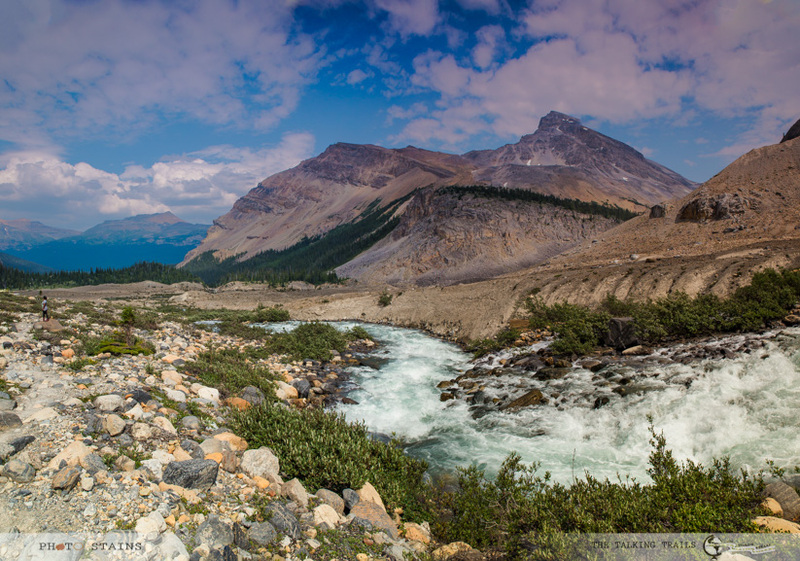 I initially had planned covering the entire Icefields Parkway area in a day. But clearly that was not enough. Here is the list of all places where I made a stop. Some of them were park and see types, while some required good amount of hiking. Nonetheless the whole experience was priceless. 1) Hector Lake : Hector Lake is the largest natural lake in Banff National park . 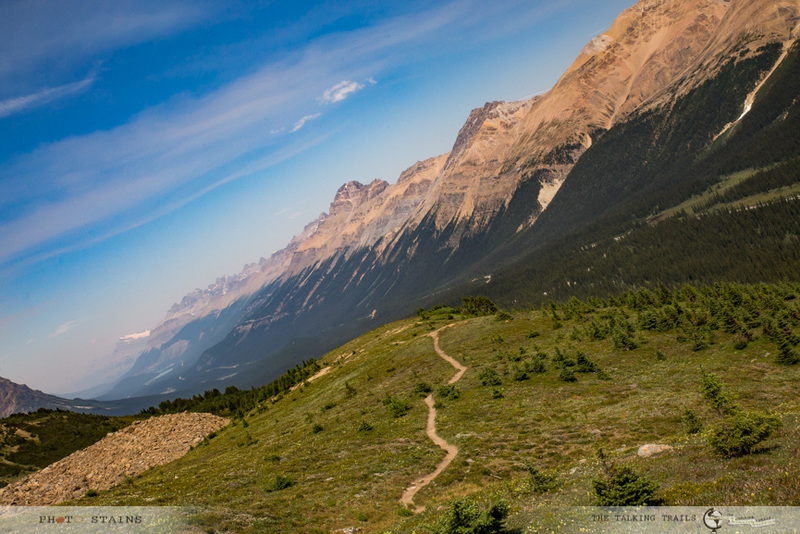 It is a 3 mile out and back trail and is one of the first stops that you will make while driving from Banff to Jasper.This trail is good for all skill levels. The picture below is the view from road. How long does it take? : If you do entire trail then it is 1 – 2 hours else 1- – 15 minutes. Amenities, Accessibility and Parking ? : Free parking but not wheelchair accessible. 2) Crawfoot Glacier lookout : Just after hector Lake you will have a lookout point for Crawfoot Glacier. You must make a stop at this point. The scenery is breathtaking. How long does it take? : Its just a look out point so depends on how much time you want to spend. Amenities, Accessibility and Parking ? : Free parking. 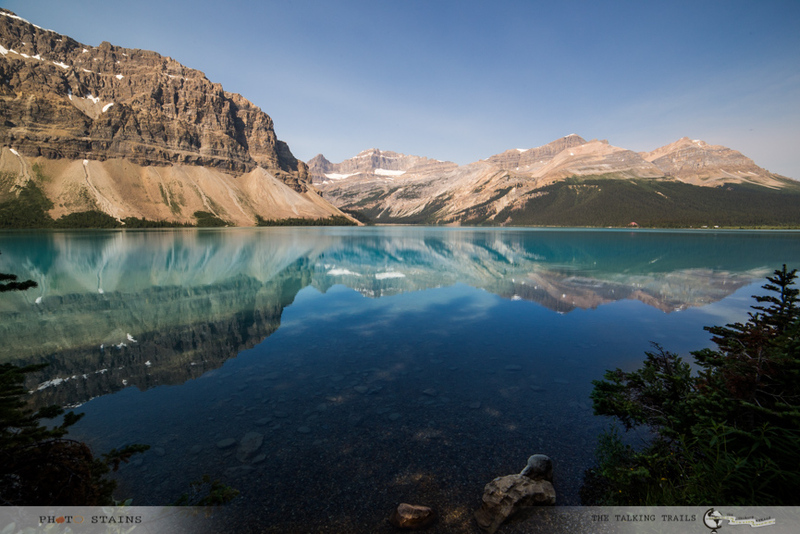 3) Bow Lake and Num Ti Jah Lodge : Just at about a distance of half a mile from Crawfoot Glacier lookout you will find Bow lake with its calm blue waters and crystal clear reflections of Rockies. Num-Ti-Jah lodge is located right next to the Bow lake and is one of the few places where you can find accomodation on icefield parkway. A bit expensive though and requires booking much in advance when it comes to peak season. 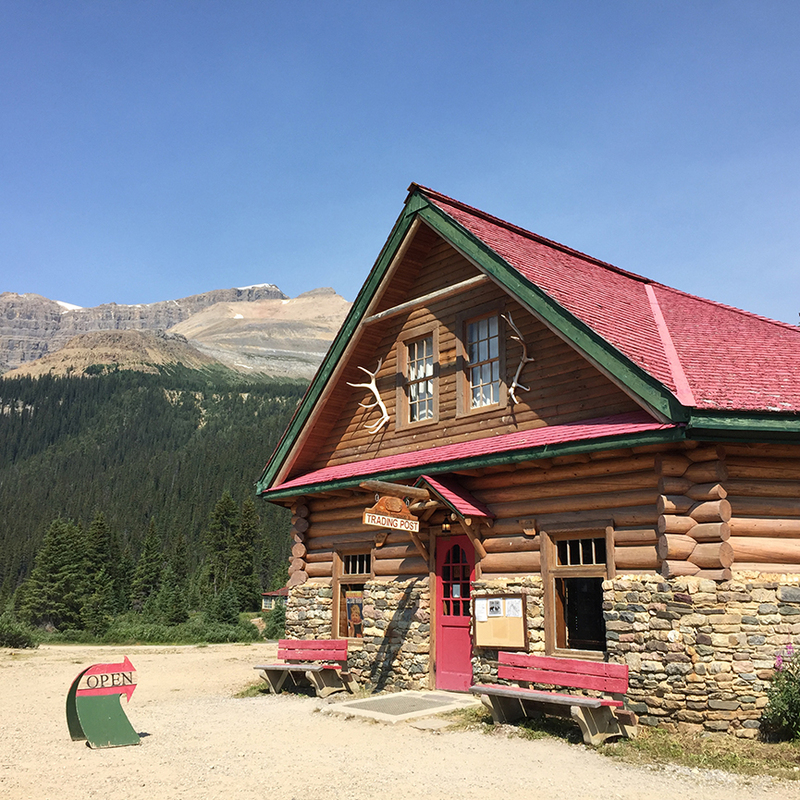 It is also one of few places (actually I think only place) on Icefield parkway where you will get hot cup of coffee. The whole setting of lodge by the lake overlooking Crawfoot Glacier is breathtaking. Hiking Required ? : No. How long does it take? : 20- 30 mins if you just walk around the lake and explore the lodge. Amenities, Accessibility and Parking ? : Free parking and wheel chair accessible near the lake. Gift shop and restaurant are also available. 4) Bow Glacier Falls : While enjoying the beautiful view of Bow lake , in case you crave for some thrill , a 9 km hike (to and back) to Bow Glacier falls is just perfect. The trailhead is at the parking lot at Bow Lake. The trail winds along the Bow lake and goes up to the Bow Glacier Falls through a narrow gorge offering amazing views on intact nature. The hike is easy but its long. 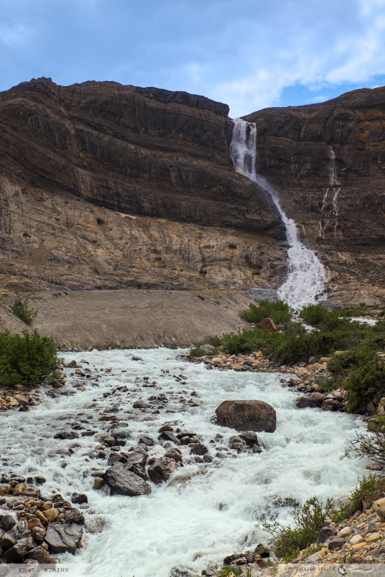 Bow Glacier Falls is one of the best waterfalls of Icefields Parkway. Hiking Required ? : Yes. How long does it take? : Its a 9 km hike (entire trip) takes about 3 to 4 hours. Amenities, Accessibility and Parking ? : Free parking. The hike is not wheel chair accessible. 5) Peyto Lake : You’ll have already seen the indescribable blue of Peyto Lake in thousand s of postcards but there’s nothing like gazing at the real thing . The viewpoint for Peyto Lake is a 20 mins hike from the parking lot., steep at places. There are two parking lots upper and lower. For people with special needs (wheelchair etc) parking in upper parking lot is advisable. Try reaching here early morning else you will find hordes of people at the viewpoint. Amenities, Accessibility and Parking ? : Free parking and wheel chair accessible from upper parking lot. 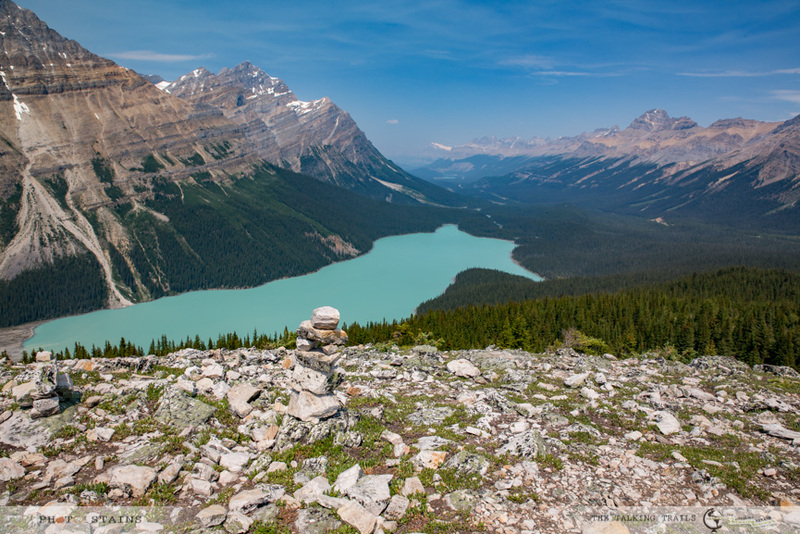 6) Bow Summit Lookout : Hike to Bow summit Lookout is an extension to the hike for Peyto lake. 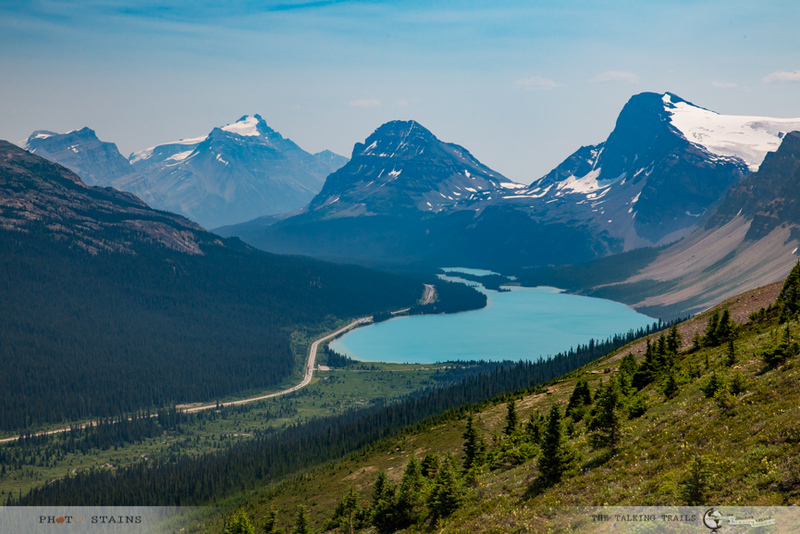 This trail takes you away from the large crowds of Peyto Lake and gives you a serene , quiet , ample photography opportunity to capture the beauty of Bow Valley.When you head to the Peyto Lake viewpoint ,keep walking on the paved Peyto lake trail until you reach a 3 way junction. Take the middle path and you will get on a gravel path which switchbacks up the mountain with ever increasing panoramas of the valley . This is a bit challenging hike but totally worth it. Amenities, Accessibility and Parking ? : Free Parking . Not wheelchair accessible. 7) Mistaya Canyon : Just as you will cross the Saskatchewan crossing on Icefields Parkway , you will find the trailhead for Mistaya Canyon. It is a relatively short hike but a bit challenging specially on way back as it is all uphill. 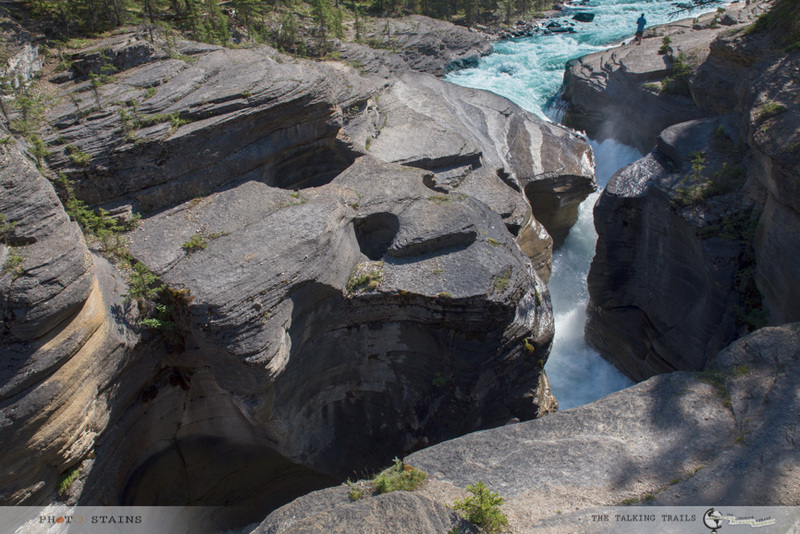 You will love the rock formations caused by swirling waters of Mistaya River. 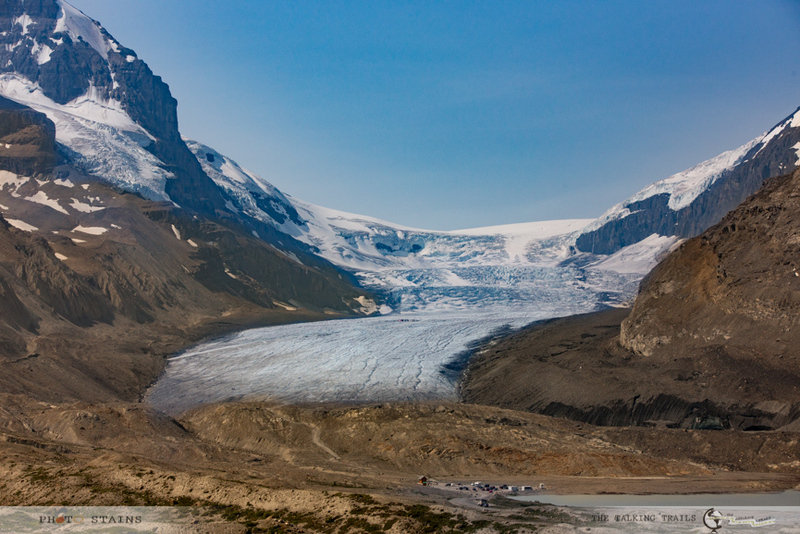 8) Athabasca Glacier : Ever wondered how does it feel to walk over a glacier? Well Athabasca Glacier will certainly quench this desire. If you plan to hike this glacier it is well advised to join an experienced guide and do it safely (Check here). You can enjoy Athabaska glacier by taking the Ice Explorer Adventure which is a giant 6 wheeled all terrain vehicle that takes you right onto the Athabasca Glacier. Please make reservations well in advance during peak season.If you do not plan on doing the Ice Explorer Adventure, you can walk up the trail from the parking area to the foot of the glacier for a closer view. Do not attempt to walk on the glacier as their have been several deaths due to people falling through hidden crevices. . Cost ? : If you plan to hike up the trail to the ace of glacier , then it is free. For Ice explorer adventure activities , you need to prebook and they are not free. Amenities, Accessibility and Parking ? : Free parking. Restaurant and restrooms available at reservation center near trail head. 9) Tangle Falls : I think Tangle Falls are underrated. I found them quite dramatic and definitely worthy of a photo opportunity , considering how easily accessible they are from the road. 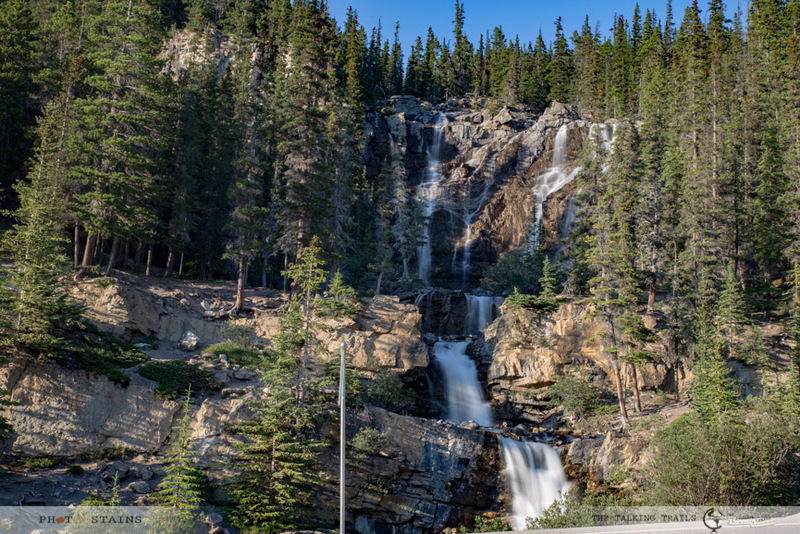 If you are travelling from Lake Louise to Jasper , drive on Icefield Parkway for 132 kms , turn left at the sign marking Tangle Creek Falls, you will have falls on your right. While you can enjoy falls from the road itself , there is a trail that will take you to the top of these falls. I found this hike a little risky as it was too slippery. Amenities, Accessibility and Parking ? : Free parking and portable restrooms available. 10) Athabasca Falls : These falls are known for carrying the most water of any rocky mountian river. The sound of 75 ft drop of water is absolutely deafening and spectacular at the same time. There are a number of trails around Athabasca falls so take your time to explore the area. In peak season this point gets very busy so I will advice to reach here early morning . Amenities, Accessibility and Parking ? : Free parking and restrooms. 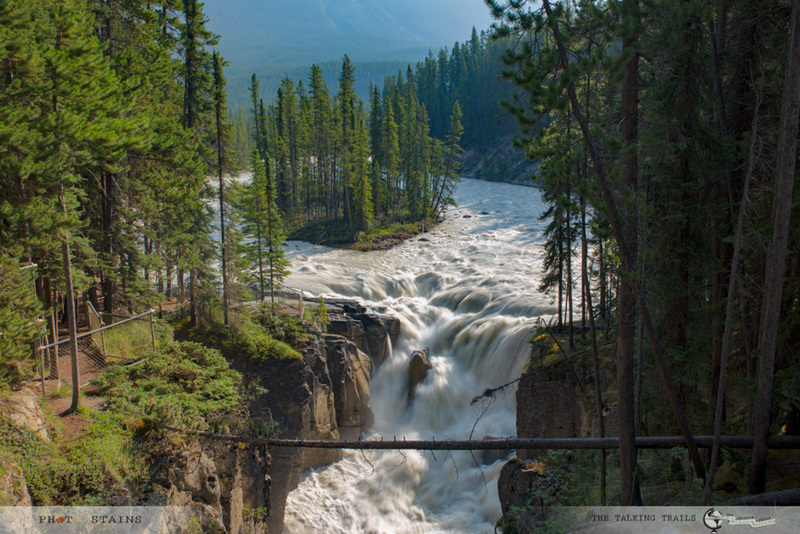 11) Sunwapta Falls : These falls are located near Sunwapta Falls lodge. There are several great viewpoints of the falls, including a bridge that spans the canyon below the waterfall, and a spot on the rocks just above the falls. 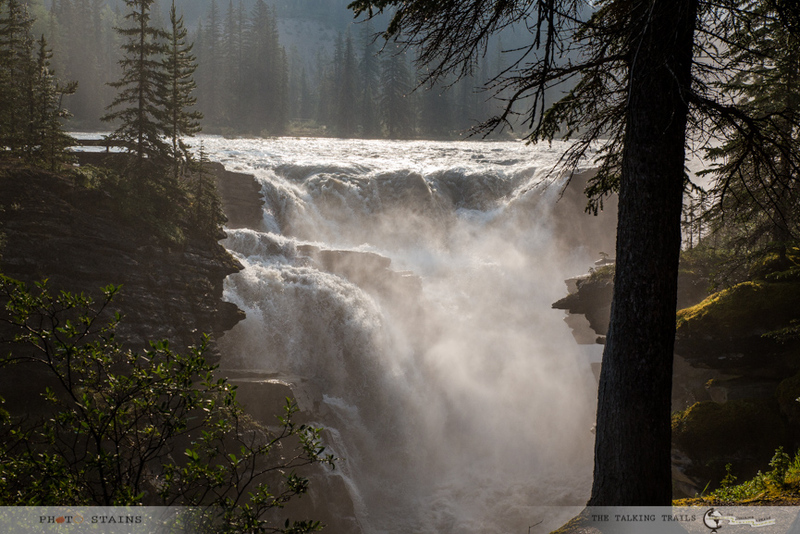 Upper falls are easily accessible and do not require any hiking. There is a lower falls viewpoint firther down the canyon which is around 30 mins hike. Note : The food in the restaurant near Sunwapta falls is awesome. One of the best places to enjoy a meal on Icefield Parkway. Icefields Parkway is a journey that you will never forget. For photographers , it is a paradise . Now I surely could not see it in its entirety but I can assure you that planning it well did help me a lot. 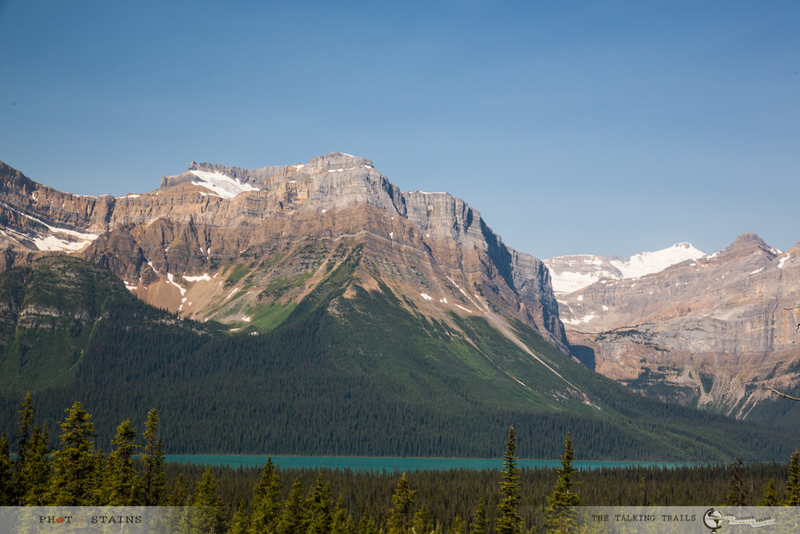 Hope this blog post gives you a head-start for your trip to Canadian Rockies. Have you even been to Icefields Parkway ? I will love to hear about your experiences, your favorite spots. If you need any more information feel free to leave me a message and I will be happy to help. Thank you for stopping by. Beautiful pictures and great post. Love the quick tips section. Very helpful. Very lovely summary and description of the Icefields Parkway area. I have visited the area twice and can spend months there and still not feel like I know it well. Indeed there have been deaths on the glacier but there are also well defined trails and guided walks. Oh wow! I read so much about Jasper Park lately that I’m really considering Canada for a near future. 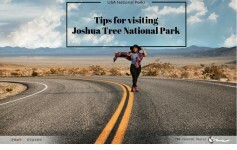 Looks like I can’t miss out on that road either and if it combines 2 of the best National Parks, that means it’s a definite contender for “must do”! I recently moved to Colorado and am loving all the hiking and beautiful mountain views. 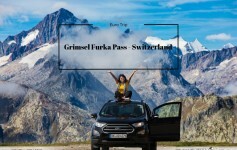 This post makes me want to visit Icefields Parkway! 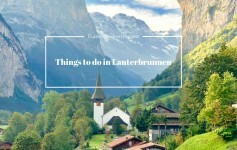 Such stunning views and great tips/descriptions. I so wanna visit Colorado too .. I have heard Colorado rockies r beautiful..
One of the most beautiful corners of the world. I loved the Canadian Rockies, esp. seeing the Athabasca glacier and taking a train from Vancouver east. I have not traveled in train yet but I am sure it must be awesome. Thank you so much… I have heard that it gets very very cold there so yeah wait will summer .. Where are you next heading to ? I really enjoy reading all your posts . We are planning a trip to Canada Rockies this summer and I really would like to know ..Is Iceland parkway synonymous to jasper or did you do entirely a different post on jasper national; park ? Canadian Rockies is so fun .. My post on Jasper is not up yet, but there are more things to see on icefield parkway than actual jasper national park. Iceland Parkway is part of Banff national park and is a road that runs between Banff and Jasper. If you are going to canadian rockies , ill suggest to do Banff and Icefield Parkway. For how many days are you going?